1986 kawasaki 454ltd. this is a pic from a few weeks ago. the bike is going under some crazy mods and is on its way to be a bobber. ill post some new pics when i get it looking better. currently it has 11,000 miles on the clock. 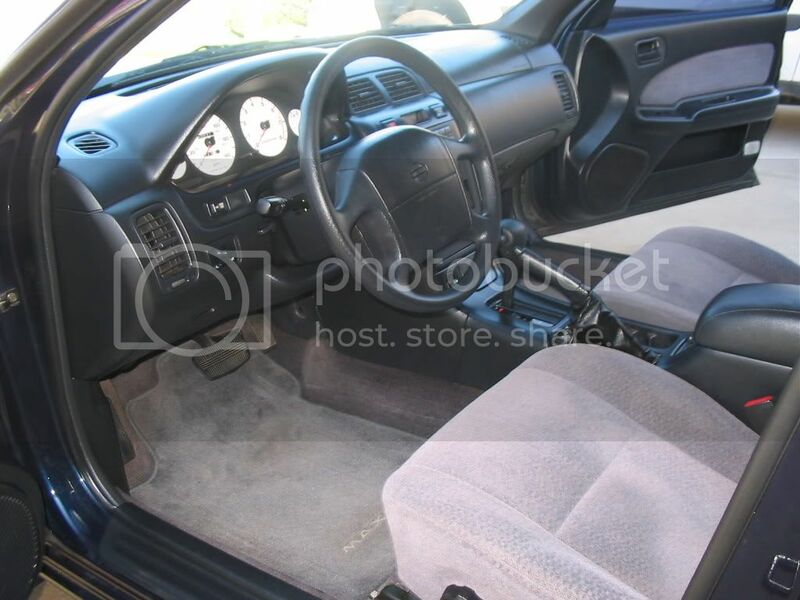 1994 4door xe sentra with a 1991 jdm sr20de. i love this car but dont get to drive it much because its my wifes. 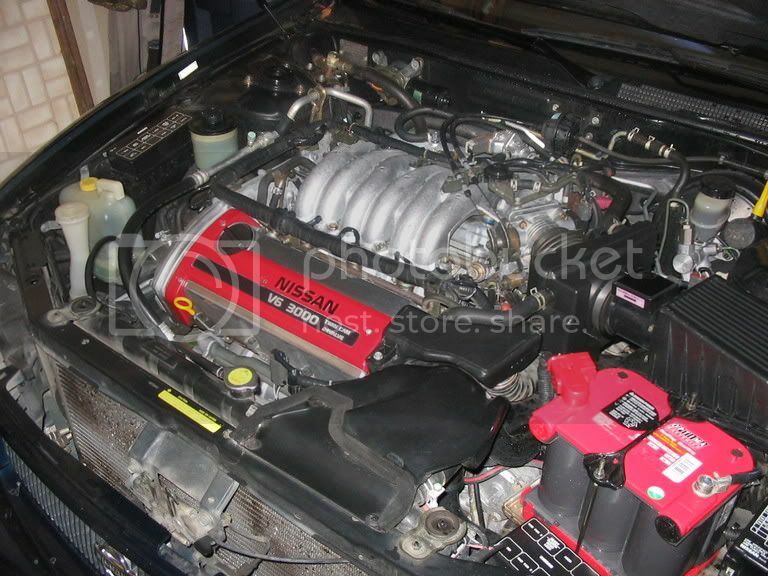 this thing is hella fast and blows my ka\'d s12 out of the water. 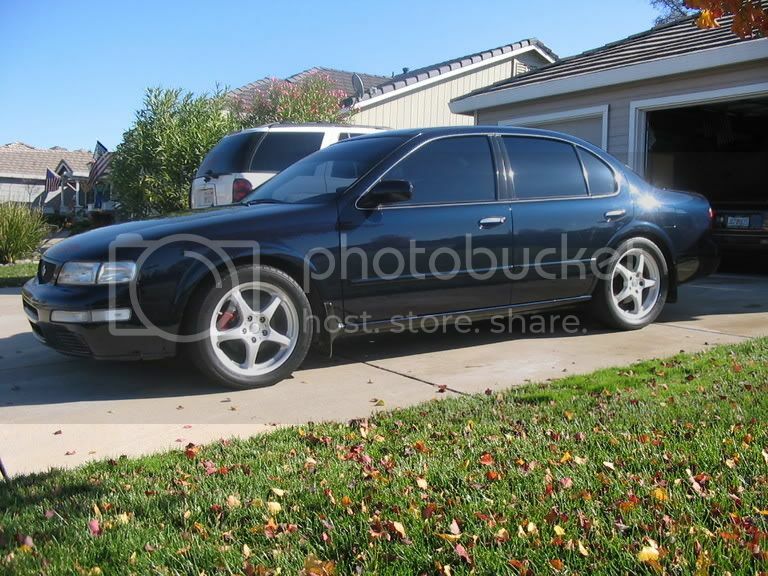 with the current mods, i got it down to 14.9. not too bad for just an ugly ol\' 4door xe-r.
heck yes! ve\'s are freakin sick. i would love to get one of those. 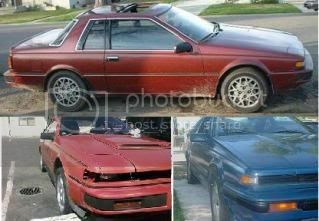 there is always a couple for sale on the sr20forum. so far has been the starter. I got an 82 rx7 gsl...all stripped out. MSD coils, LSD. K and N air filter, eibach springs, kyb gr2s, fuel pump wired up to defrost switch. 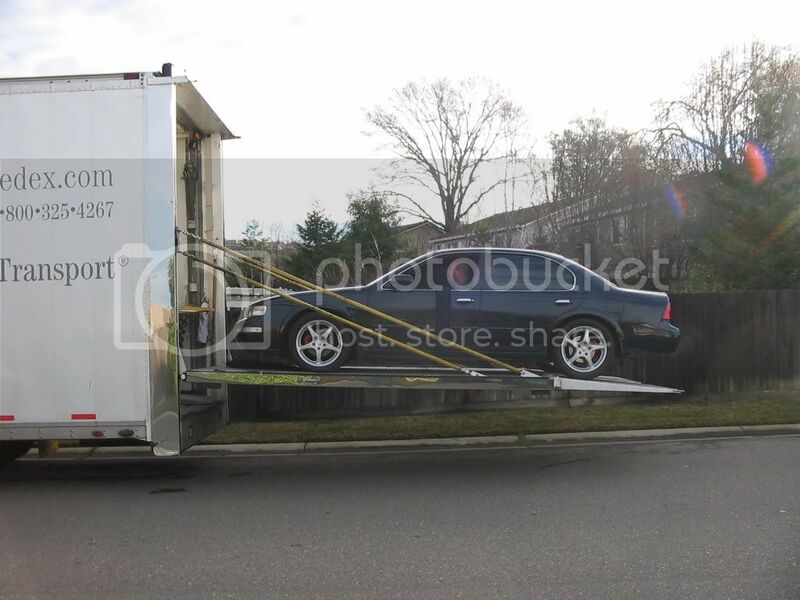 Its for sale on nwn right now for 1500 in the non nissans section...I would post pics, but i am lazy. I\'d post pics if I had them...however I never saw fit to blow the couple hundred bucks on a digital camera. Others in the fleet though include a 1991 Miata (BRG), 2000 F350 PSD 4x4, and the 2005 Grand Marquis LSE. Those pics are from my camara phone, I thought they would turn out worse, but there not that bad. Oh, you don\'t need an expensive digi camara. You can get one for less the $100 at the local Walgreens, Walmart or even a used one off Ebay. I can count on one hand and have fingers left over the number of times I had film developed in the past five years. For as little as I need to take pics, I simply don\'t need a digital camera...I know I make a lot of frivolous purchases (good example was the LSE), but the camera is something that I would not use often enough to justify the purchase. And when I buy stuff like electronics, I tend not to buy the loss leaders...the cheapest one out there might work for some, but I just don\'t do things that way. As to cell phones- I am still using my old StarTac. It does what I need in a cell phone- gives me a voice connection. I don\'t need all the other crap in what amounts to disposable phones...I know too many people that have to replace the stuff the stores foist upon them with the contracts, meanwhile I am pushing six years with the StarTac (replaced at that time only because they went all-digital in this area). 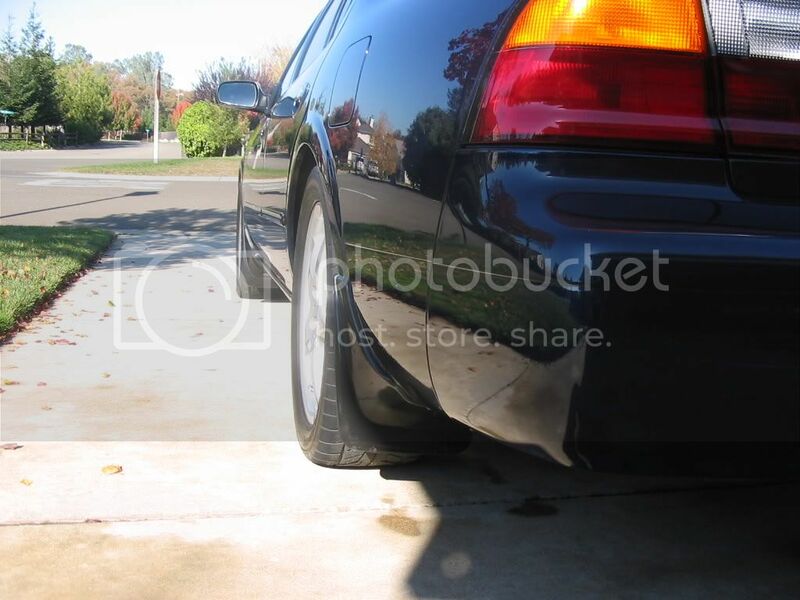 Man seeing your maxima makes me miss mine Keith How are those headlights holdin\' up for you? 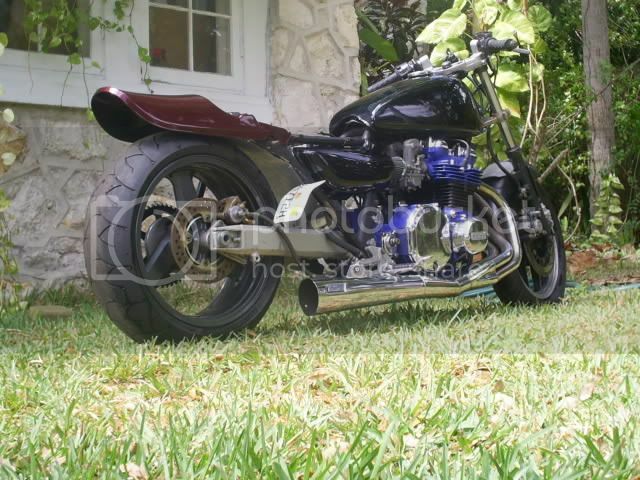 thats the kind of bikes im a fan of all those that were in the movie mad max. old school..... real old school haha.. mix with new..
this is a creation of your own mind? this meaning did i build it?... yes everylittle piece i did by myself..